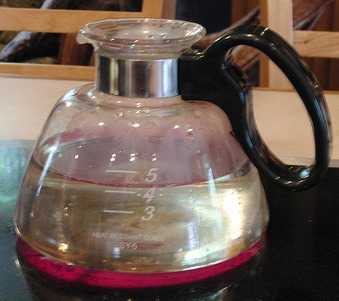 Over at Redemption Unlimited they gave a homemade recipe for cleaning a glass coffee pot. This is a similar recipe as what I suggested in my post on How To Clean A Coffee Pot. The main difference was that Redemption Unlimited said after swirling the ingredients together, to let them sit for a while before pouring them out. In addition, they added the lemon juice ingredient, which I think is actually a really great idea. Does anyone else use this method? If so, does it work well for you? Tell me in the comments. 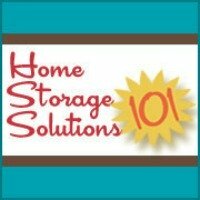 In addition, do you have a cleaning tip of your own to share? You can also read cleaning tips already submitted by others here. This works wonders for glass coffee pots! I worked in a restaurant waiting tables for six years, and we ALWAYS did this. Every night we would half fill each coffee pot with ice, sprinkle in some salt, and squeeze a slice of lemon in there before dropping it in as well. Then we would let it sit overnight and rinse it out with hot water in the morning. Even though our coffee pots went through 6-7 refills a day and constantly sat on burners for hours they always smelled fresh in the morning. :) I do this with my coffee pot at home to keep it clean and fresh. Great post!